Have you ever gone into a store and spotted something so completely ridiculous that your just had to have it?? 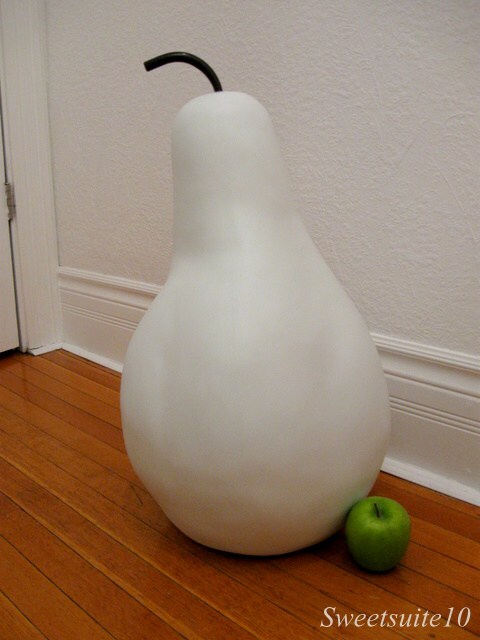 Meet my 2 ft. tall pear. I know it's crazy, and serves no purpose whatsoever (other than make me smile), but I just had to have it. Now I just need to figure out where to put it . . . .